Fashion and Feminism | Can Fashion Be Feminist? 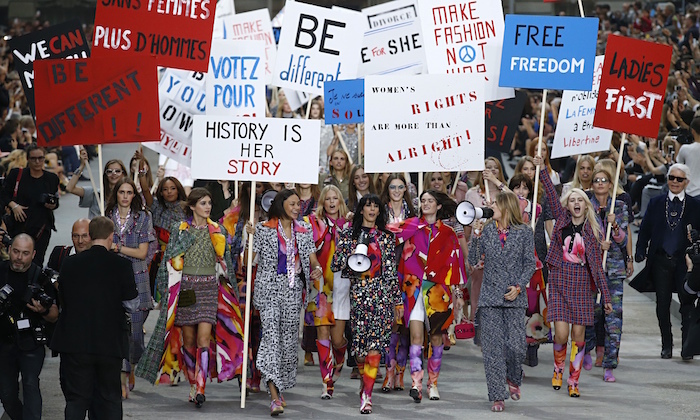 The one question I constantly get asked: Can fashion be feminist? The first time I encountered this question was when I was doing my Masters in English Literature. People could not understand, how a feminist could also be a fashion lover. How could someone, who is a women’s rights and gender equality advocate be a part of an industry that makes its profits by perpetuating unrealistic beauty standards by constantly telling women what is wrong with their body and appearance and how to change it. The biggest argument against fashion is, it is patriarchal and panders to the male gaze. Plus, in its pursuit of “perfection” it sets very unrealistic beauty standards for women. Therefore, a woman who chooses to embraces fashion cannot really be a feminist. To being with, this argument is flawed. Feminism has very little to do with personal appearance and everything to do with an individual’s rights. Along with equal rights, feminism is strongly pro choice. Not only in the case of abortion but this is applicable for everything. If a woman wants to have a child or not is her choice, then why can’t we extended the same liberties for women who want to shave their legs and wear makeup? Why is one choice progressive and the other not? By saying that women who follow fashion trends, or shave their legs, or wear bright lipsticks are not really feminist is validating the myth that women become feminist because they're too ugly! Are fashion and feminism really compatible? Yes! Contrary to popular belief, fashion and feminism are not mutually exclusive. In fact, a large part of fashion has been very feminist in its approach. If we owe the Suffragettes our right to vote, then we owe Mary Phelps Jacob our gratitude for giving us the freedom and luxury of no more being trapped in a garment that is not only uncomfortable but also claustrophobic. History is filled with icon fashion forward creations that played a very significant role in women’s liberation. Knowingly or unknowingly they have contributed largely towards women asserting their own independent identity. Fashion has not only worked towards women’s emancipation, it also has been big advocate and supporter of LGBTQ rights as well. One of the first industries in the world to be openly pro-LGBTQ, fashion has always had a very gender inclusive in approach. Openly gay men were creative directors of couture houses when other industries would not hire them. From Yves Saint Laurent to Karl Lagerfeld to Alexander McQueen, sexuality has never come in the way of an individual’s achievement. From Marlon Brando’s machismo to David Beckham’s sleekness to Jaden Smith's gender fluidity and from hyper masculinity to metrosexual, men’s relationship with fashion has immensely evolved. Things that were once considered “feminine” are no more taboos. Men are now comfortable wearing - what was once labeled as traditional feminine - colours like pink and pastels. Pedicure, manicure and waxing are no more looked upon as female rituals. Men don’t shy away from dressing well and looking good. Some men even enjoy wearing makeup. These subtle changes have helped diminish the gender binaries. One of fashion's biggest achievements has been, it acknowledges and celebrates female aspiration. For years, we have celebrated male aspiration as a sign of success and achievement and shrugged off female aspiration as frivolous. When a man aspires to buy a Bentley we applaud his ambition. However, when a woman states her dream is to own a Birkin bag we belittle her for being extravagant. How is a Bentley, a car, a sign of achievement and Birkn, a bag, not? Both are top of the line products in their respective industry. And yet, we see one as a sign of success and the other as a sign of vanity. How is a car more significant that a bag? The purpose of both is to make a statement while being productive. A car takes people form one destination to another. A bag is used to carry things around. Then how is one superior to the other? Here is where fashion comes in. By targeting female consumers, they have managed to respect and validate the female aspiration. What was once considered as excessive or spendthrift by society is now seen as a sign of achievement. Fashion managed to break that sexist outlook that male desires and aspirations are superior to that of women. 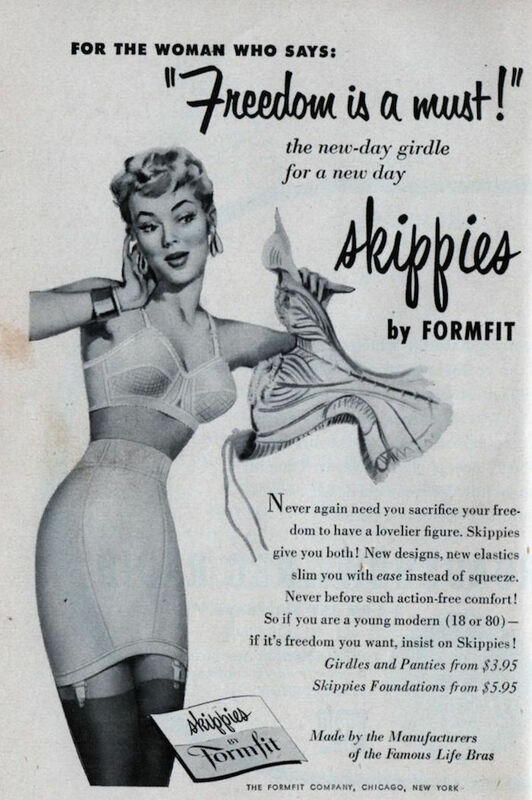 It was one of the earlier industries that pandered to women’s wants and not just their needs. For years, women’s wants were never discussed. It was all about their needs. Fashion changed that. It gave women the liberty to desire for more. To not feel guilty after splurging on a pair of shoes or bags or jewellery. Some women may not want to own a Birkin. Instead, they desire to own a Bentley. Guess what, they are free to do just that. Similarly, a man may not aspire for cars and bikes and instead want luxury bags and shoes! That too is acceptable now. Like every other industry, fashion too has some fault lines. It is still not inclusive of all bodies and the beauty standards are still very unrealistic. However, many voice within the industry are rebelling against these standards and asking for more diversity. The entire plus size and body positive movement has be spearheaded by plus size models and fashion bloggers. While the journey has just begun, it nowhere from being over. 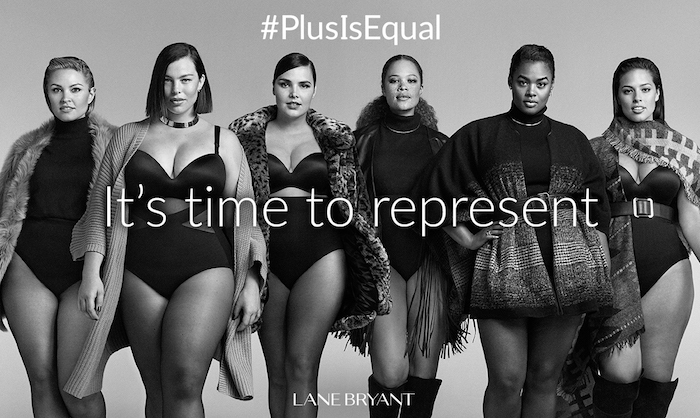 The constant demand for equal representation of plus size bodies along with straight size ones is finally being heard by industry insiders. Many times over, fashion has proved it believes in the social, political and economic equality of the sexes. Therefore, fashion is feminist.